Encouraging millennials to walk boldly in their purpose without fear or regret. 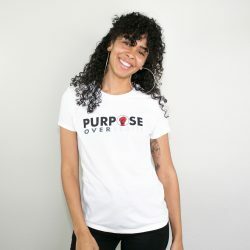 Purpose Over Profit™ is a motivational speaking and personal development service empowering millennials to walk boldly in their purpose without fear or regret. Purpose Over Profit™ is for the creators who break the mold. The activists who work tirelessly for the cause. The teachers who inspire the youth. The politicians who fight for the people. The journalists who pursue the truth. The athletes who refuse to be silenced. The entrepreneurs who empower their community. Purpose Over Profit™ is for YOU. 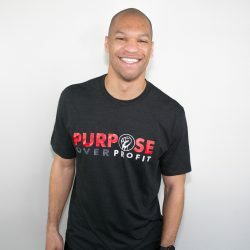 Justin Riley is an entrepreneur, speaker, and former small business executive who has a passion for serving and inspiring others to live life with purpose. As a former collegiate athlete with more than seven years of experience in higher education, media, and sports – Justin has the unique ability to connect with a wide-range of audiences, often drawing from his own vulnerabilities and personal experiences to craft his message. He has delivered presentations for various organizations, spoken on panels at high schools, colleges, and universities, and has appeared on several media outlets including Huffington Post, Blavity and LATV. Justin earned his degree in Television and Broadcast Journalism at Chapman University. Justin’s entrepreneurial spirit arose in 2012 when he and his wife, Joy, created Love Jays – an online community for millennials seeking advice about love and relationships. The blog quickly gained traction, leading to a spot on Tracey Edmonds’ YouTube Network, Alright TV, and subsequently, a 60-minute weekly radio show based in Los Angeles. Driven to create an even larger impact, the pair launched Married Millennials in 2016, a weekly podcast tackling the complex intricacies of being a millennial, covering an array of topics ranging from pop-culture and politics to love and relationships. The couple recently expanded their brand beyond the digital medium by hosting live events highlighting the lessons they’ve learned along their 10-year journey. 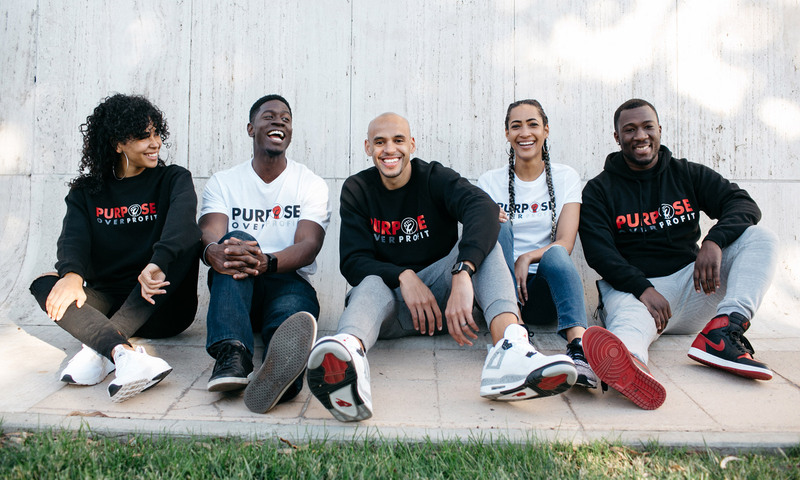 In 2018, Justin founded Purpose Over Profit™ after spending the previous five years working in grassroots basketball, successfully operating and speaking at dozens of camps across the West Coast. 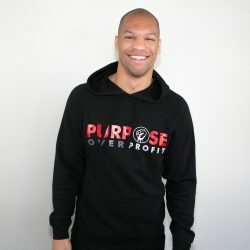 He was inspired to create Purpose Over Profit™ in response to his growing frustration with societal pressures driving individuals away from aspiring toward larger, sometimes intangible goals and dreams. Justin flips this toxic narrative on its head and empowers people to walk boldly and fearlessly in their purpose. Justin and Joy are the hosts of Married Millennials, a weekly podcast navigating life, love, and relationships one student loan payment at a time. Please complete the form below to request Justin Riley to be part of your event. All inquiries can be submitted using the form below or email: info (at) mypurposeoverprofit (dot) com.